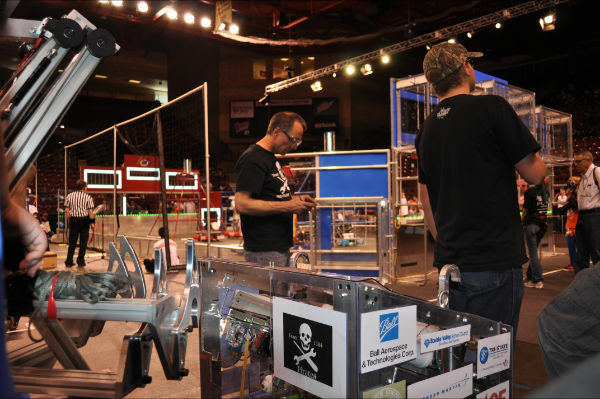 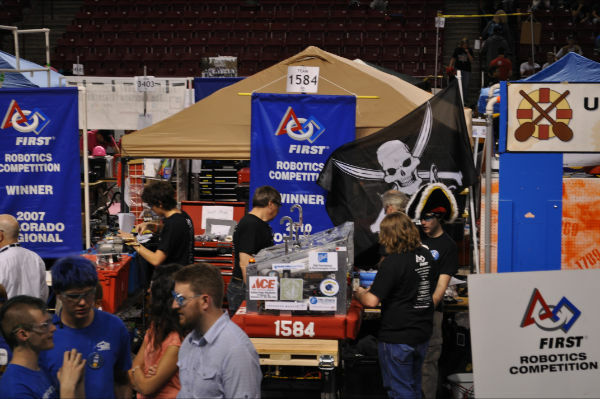 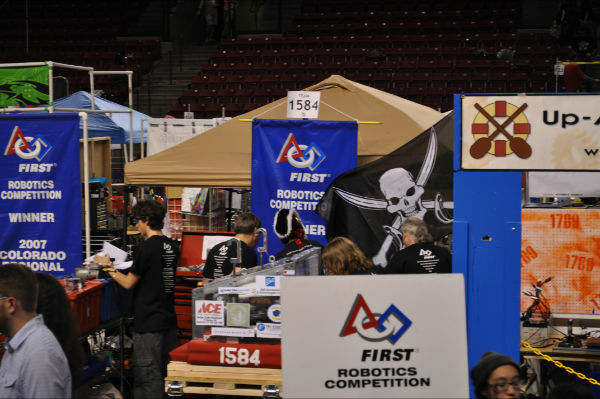 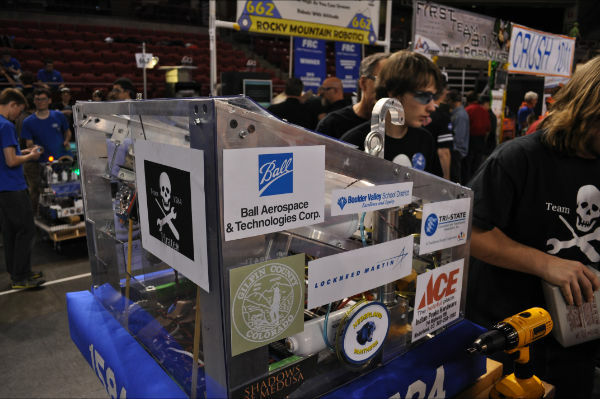 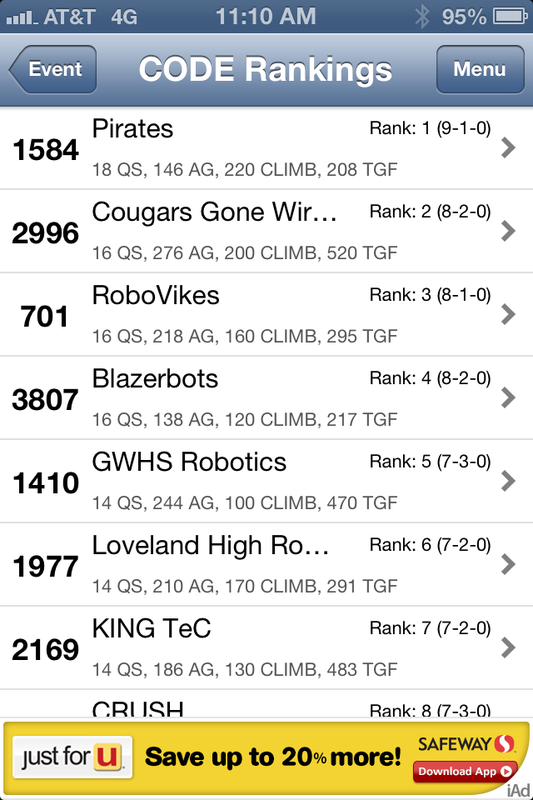 The Pirates ninth season at the 2013 Colorado Regional was amazingly successful. 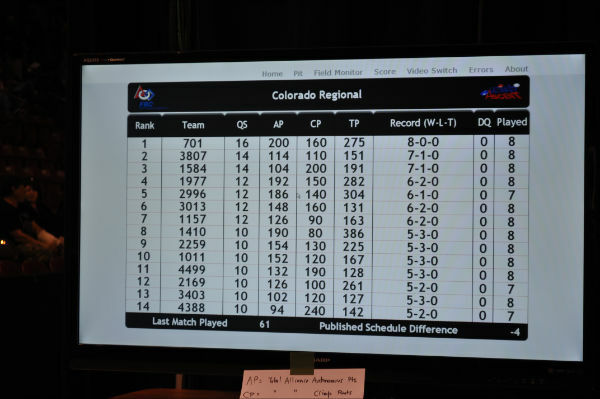 Their 10-1 record earned them a tie for first place out of 48 teams from seven states and two countries. 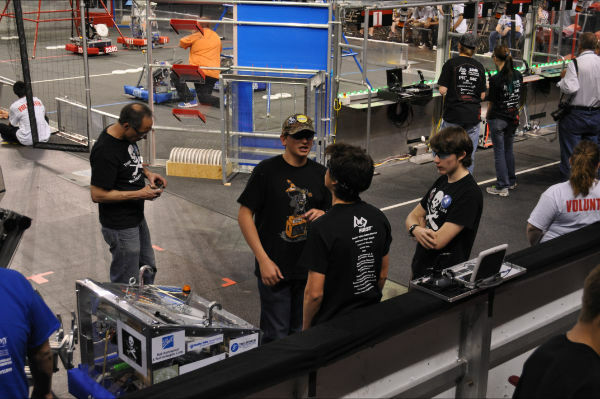 Their greatest successes came off the field, with planning and goal achievement. 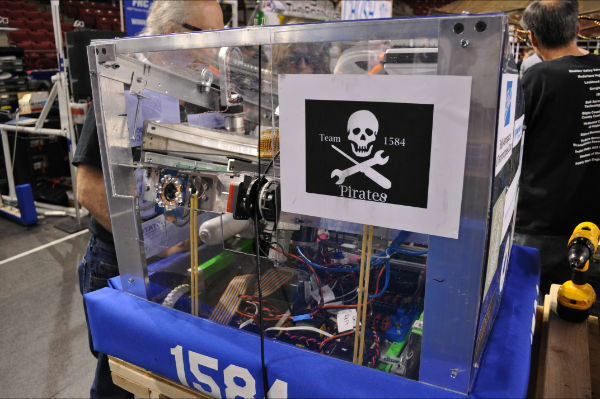 The pirate swabs set out to build a robot capable of scoring accurately from any position on the field - and they achieved their goal. 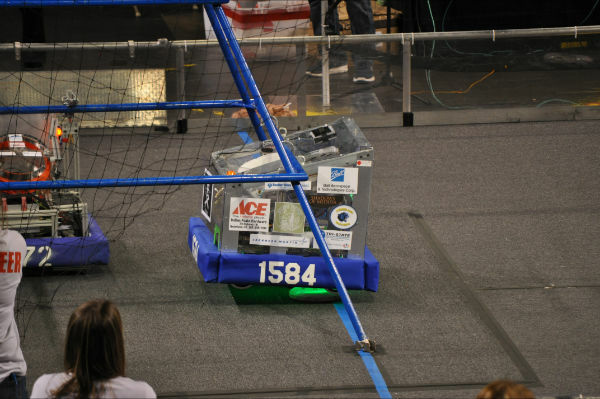 Along the way, the crew resisted strong urges to convert the robot into a climber or a boring stationary shooter. 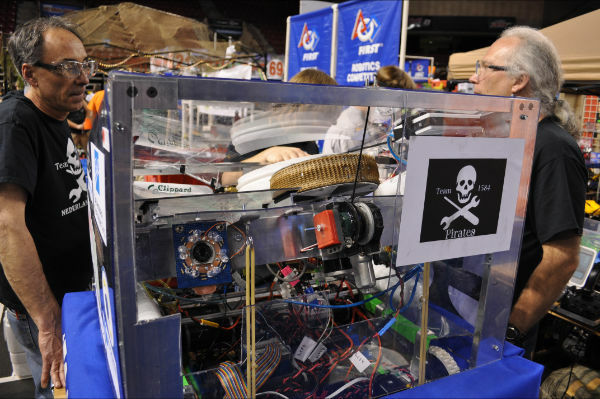 In the words of team captain Parker Stevens, "We just want to play the game." 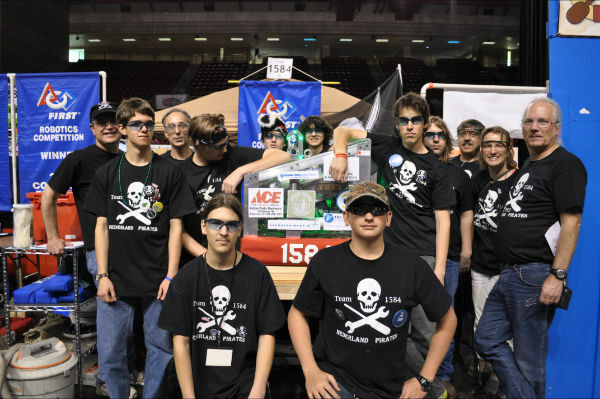 They achieved that goal as well, undoubtedly having the most "pure fun" of any team at the regional.